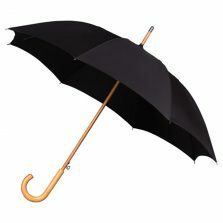 Looking for a high quality special offer umbrella? To say thank you for your order we have an amazing special offer for you. You can add one of these big square, high quality umbrellas to your order right now for just £5.10 and there’s no extra carriage to pay. Usual price is £20.45. Keep it for yourself or give it away as an unusual and practical gift to… almost anyone! 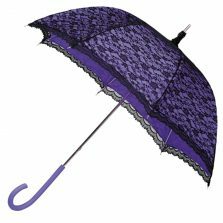 With a canopy width of 89 cm (35″), or 136 cm (around 4 ft 6 inches) corner to corner, these are stylish almost “golf size” umbrellas. Length is around 102 cm (40″). There’s plenty of room for two, so great for couples. Perfect for wet weddings and damp days out. 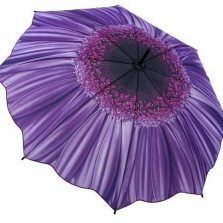 These superb square purple full length umbrellas are windproof because they are constructed with a modern, flexible & strong fibreglass frame. And that’s not all… the frame and spokes, even the springs are all doubled up. That gives you the strength of a heavy duty, eight spoke design. 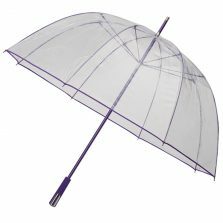 Featuring a strong 1.5 cm square shaft, square soft rubber handle this square special offer umbrella has a square tip to match the square canopy. Even the runner, (the slidey up & down bit) boasts a chunky, square rubber design. With its fibreglass frame and spokes, on an aluminium shaft, for such big umbrellas they’re pretty light too. 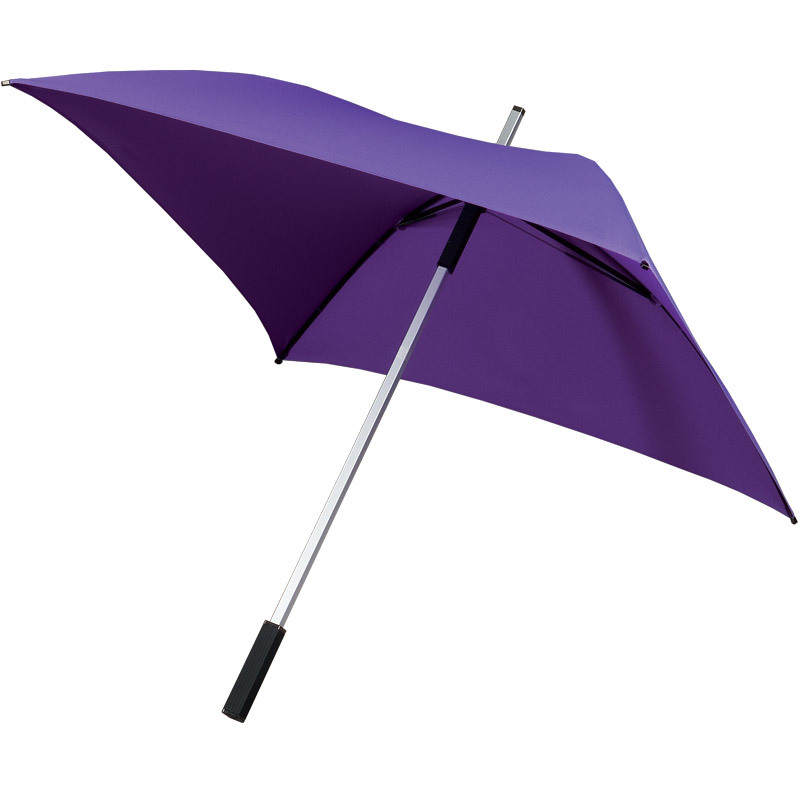 The Purple Square Umbrella does more than just keep you dry… it’s a real head-turner too! Grab one now while they’re still available at this incredible price. Much bigger than expected – probably my fault for not studying measurements, so I shall not be using it as much as expected as too big for normal pavement walking. However , country walks in winter – yes, and it will show up well – a safety feature. An umbrella for two.